Features: 4 screw terminals, mushroom head push button switch. The switch is structured compactly and operated quickly and gently. Can be widely used to control the electromagnetic starter, contactor, relay and other automatic control electric circuits. 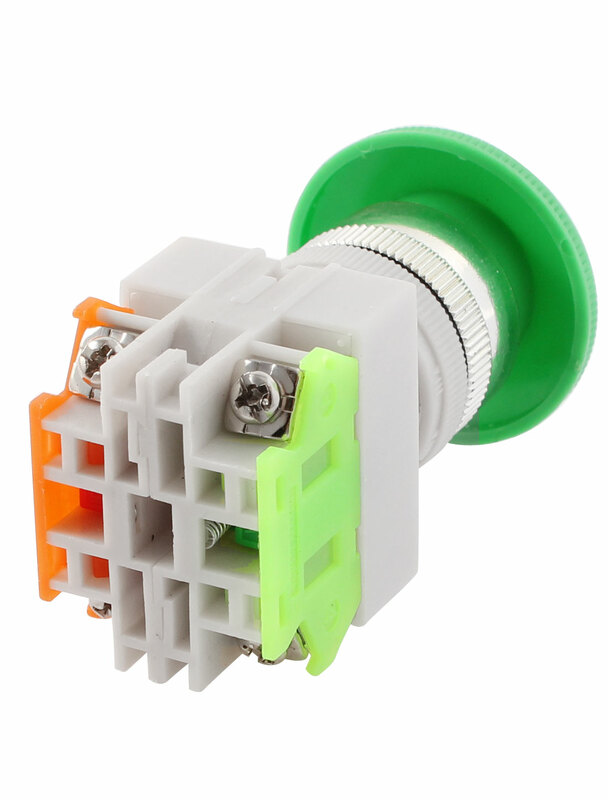 • Product Name: Push Button Switch; Country of Manufacture: CHINA; Brand: AssisiMaterial: Plastic, Metal; Net Weight: 39gPackage Content: 1 x Push Button Switch; Main Color: Green, Orange, Fluorescence Green, WhiteMounting Hole Diameter: 2.3 cm / 0.9"; Fit Panel Thickness(Adjustable): 5 mm/ 0.2"